Donna graduated as an Occupational Therapist from Dalhousie University in 1991. She worked in Halifax for 23 years and moved back to her home province of PEI in 2014. 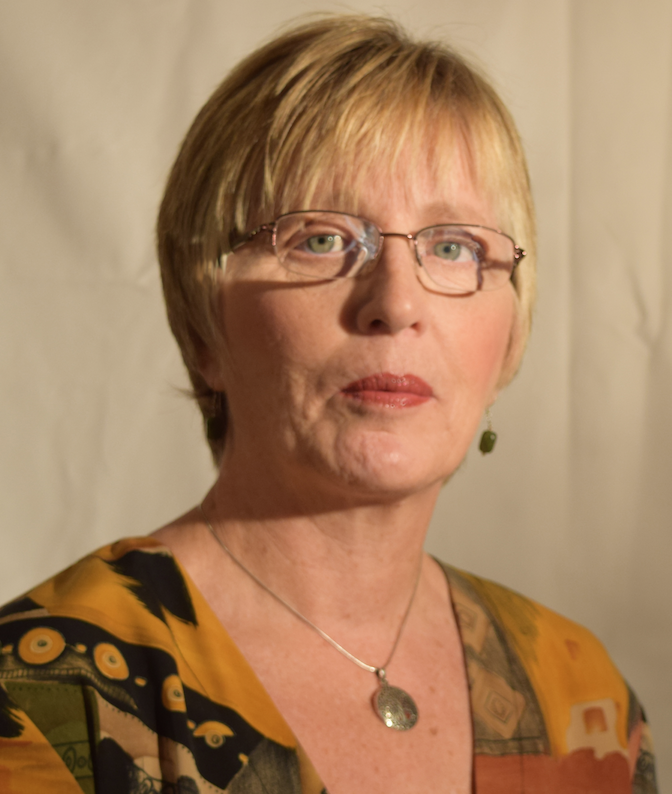 Her experience includes working at the Nova Scotia Rehabilitation Centre for over 10 years on multi-disciplinary teams providing treatment on the Spinal Cord Injury service, in addition to working with clients who experienced a stroke, traumatic brain injury, chronic pain, amputation and on the burns/plastics and orthopaedic services. Donna moved to working in community-based practice completing in-home functional assessments for Veterans to maximize independence and safety in their home and community environments. Donna’s work history also includes medical-legal consulting (life care planning) and complex case management. Since moving to PEI 5 years ago, Donna has been working in the area of private practice assisting clients with chronic pain, concussion, brain injury and mental health conditions such as depression, anxiety and psychological trauma, including PTSD. At Serene View Ranch, Donna provides services as an Occupational Therapist (OT) and a Clinical Care Manager (CCM). Donna is a CBT trained OT who has significant experience working in the area of complex case management. She continues to be inspired by client’s resilience and growth following significant life changing events. Assessment of function in the areas of self care, productivity and leisure; identifying challenges impacting function (cognitive, psychological, physical) and recognizing strengths, values, interests and resources to increase functional ability to return to activities of daily living, life roles and increase quality of life. In-home functional and/or accessibility assessments and community-based treatment when indicated (i.e. home/workplace/community). Behavioural activation through structured activity planning, progressive goal setting, in vivo graded exposure therapy and problem solving. The goal is to help clients reintegrate into home life, the community and workplace as needed. Pain management – identification of psychosocial barriers, pacing education, structured activity scheduling, graded activity involvement, problem solving and implementation of positive coping techniques to promote increased function and re-integration into life role activities. Cognitive Rehabilitation/Concussion Management Services – including functional cognitive screening and provision of rehabilitation services such as remedial cognitive and work hardening exercises and implementation of memory compensation strategies. Administration of the Canadian Occupational Performance Measure (COPM)©– an individualized outcome measure designed for use by Occupational Therapists. The measure is designed to detect change in a client’s self-perception of occupational performance over time. It identifies clients’ perceived performance and satisfaction with this performance. Transferrable skills from equine-assisted learning/psychotherapy to applications of self-care, leisure and productivity in daily life. Sandra is passionate about helping others and obtain relief from pain and anxiety. She has been incorporating holistic nursing into her work in Dialysis for the past 10 years and in the past year has been working with individuals to help release tension anxiety and pain through the above modalities. Sandra recently became a member of the Alliance Professional of Naturopaths and Naturotherapists and is accepted by most extended health insurance policies. Mary A. McNiven, P. Ag; B.Sc. Agr., Agr. Dr.
Mary completed her doctorate in Animal Science from the Swedish University of Agricultural Sciences in Uppsala, Sweden, then completed a three-year post-doctoral fellowship at the Agricultural University of Norway in Ås, Norway. As a Professor of Animal Science at the Atlantic Veterinary College, University of PEI, Mary has been intrigued by the Human-Animal bond. 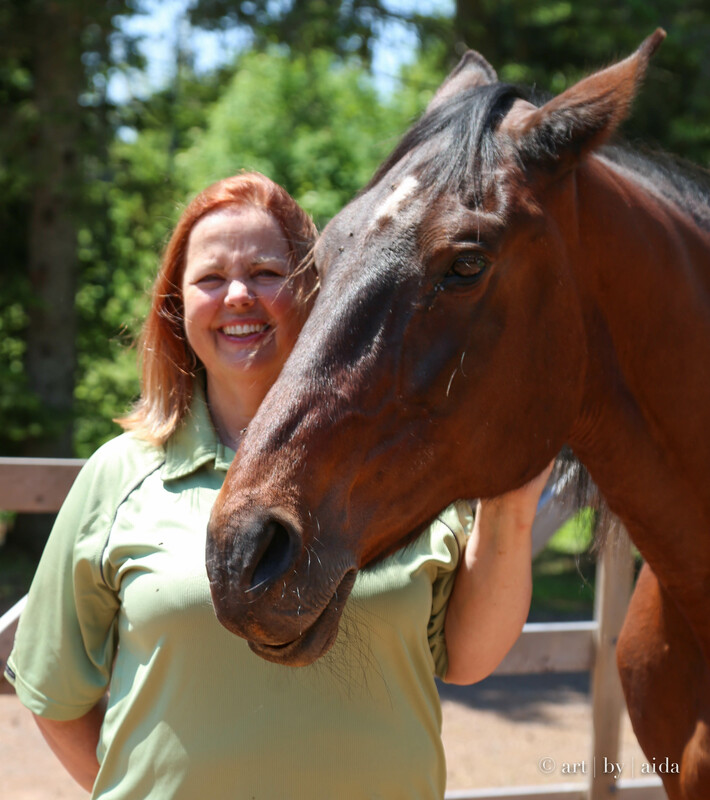 Animals have always played a huge part of her life and she welcomed the opportunity to become certified in Equine-Assisted Psychotherapy as an Equine Specialist with EAGALA in 2012. Areas of focus in the practice are trauma, PTSD, first responders, anger management, couples therapy, anxiety and depression. In addition, Mary consults in the area of equine nutrition and production. Daniel has two degrees in Environmental Science. He spent 20 years working and writing in that field before ‘changing horses’ and heading to Acupuncture school at the age of 36. He graduated from Boston’s New England School of Acupuncture in 1999 and has had a thriving clinical practice in Charlottetown ever since. Daniel has studied widely and continues to develop his skills with many of the leaders in his field. He brings all of these powerful influences and his own evolving capacity to his clinical practice. Most Acupuncture available in Prince Edward Island is delivered as an adjunct to something else. Daniel practices Acupuncture exclusively, and as the full systems approach to body, mind and spirit it is designed to be. Practiced at this level, there is no separation between form and function, between body, mind and spirit. We are one whole integrated system. It is the fragmentation of that system, through how we live our lives, that lies at the root of most illness. Delivered by a practitioner with the dedication, commitment and experience Daniel offers, Whole Systems Acupuncture is a powerful tool for supporting the healing path towards integration. Daniel has published widely in professional and popular journals. He founded and chairs the Association of Registered Acupuncturists of Prince Edward Island. (www.acupuncturepei.com). He has taught Tai Chi, practices Yoga and both practices and teaches Meditation. Samantha received her first Yoga certification in India in 2009. Since then, she has continued to advance her studies, accumulating thousands of teaching and training hours. Among her accomplishments, Samantha completed a 500 hour program with Semperviva Yoga in Vancouver, a 800 hour Yoga History and Philosophy training though Traditional Yoga Studies, a year-long Mastery of Mantra training with Russill Paul and Yoga for PTSD certification. She is an E-RYT-500 (Experienced Registered Yoga Teacher) as recognized by the Yoga Alliance. She focuses on Trauma Informed yoga and is currently enrolled in a 2-year Yoga Therapy Program with the Yoga North International Soma Yoga Institute. Samantha runs the Maritime Yoga College, a private school as recognized by the governing body of PEI. She believes wholeheartedly Yoga is a practice that is available to everyone, regardless of experience, flexibility or any other perceived limitations.